The domain of neuroscience has had one of the most explosive growths in recent decades: within this development there has been a remarkable and renewed interest in the study of the relations between behaviour and the central nervous system. Part of this new attention is connected with the contribution of new technologies (PET, fMRI) permitting more precise mapping of neural structures responsible for cognitive functions and the development of new theoretical models of mental activities. The diffusion of new pathologies (for example the pattern of cognitive impairment associated with AIDS) has further enlarged the field of clinical neuropsychology. Finally there has been an expanding clinical interest in the understanding and management of age-related cognitive changes. 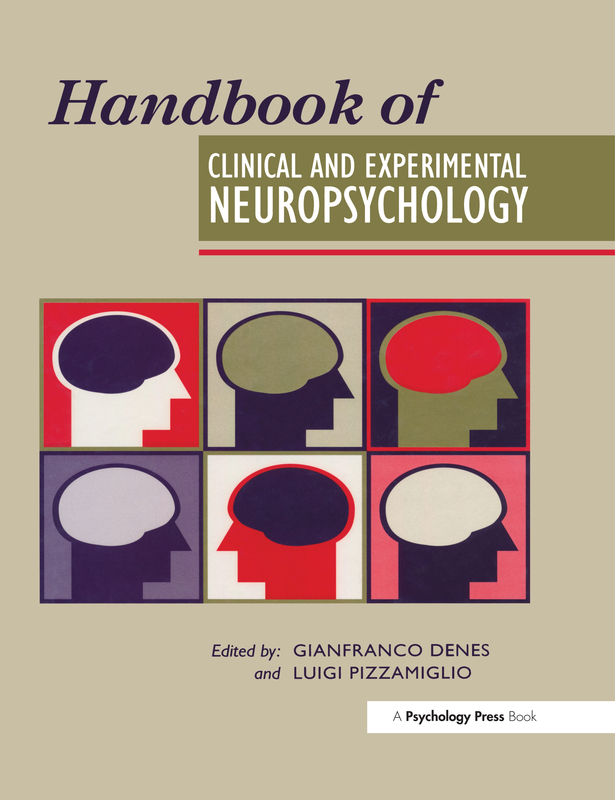 This volume is the translated and updated version of the second edition of Manuale di Neuropsicologia (Zanichelli, 1996), by the same authors, and it reflects the current status of the art. It is intended to blend clinical and theoretical aspects of neuropsychology. The first part discusses the instrumental and clinical methods of investigation in neuropsychology, together with their development. A long section is dedicated to the language and memory disorders. The impairment of non-verbal cognitve functions, such as the disorders of space orientation, of of visuo-perceptive abilities, and of the emotions and attention, are extensively discussed. The pattern of degenerative dementias is thorougly described, as e is thoroughly described, as well as a number of new topics, such as a neuropsychological approach to consciousness. Finally, perspectives for treatment of some cognitive disorders are outlined. Part I: Methodological Problems in Neuropsychology. Part II: Language Disorders. Part III: Memory Disorders. Part IV: Recognition Disorders. Part V: Movement Disorders. Part VI: Spatial Disorders. Part VII: Attentional Disorders. Part VII: Special Syndromes. Part IX: Dementia. Part X: Recovery of Functions.